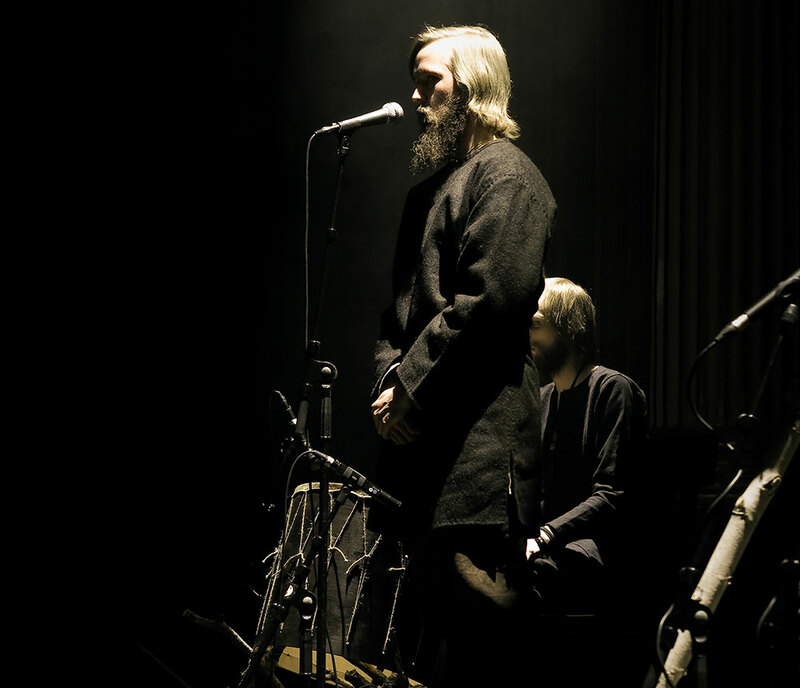 Forndom is Scandinavian folk art performed through a framework of ambient music. With fervour for Norse spirituality and a foundation in academia, we hear about the gods and giants, of runes and men – and the importance of killing your self. A significantly extended version of this article is included in Bardo Methodology #1., which also features BÖLZER, SADISTIK EXEKUTION, PHURPA, Graham Hancock, ANTAEUS, MORBID, No Fashion Records, Alvaro Lillo (WATAIN), Ryan Förster, TEITANBLOOD, MGŁA, The Ajna Offensive, and DESTRÖYER 666. The seed that sprouted into FORNDOM was first sown when amateur photographer Ludvig Swärd stumbled upon a Tumblr profile that combined music and photography. Since he was already operating a popular photo page on the same platform, he decided to try a similar approach by creating his own compositions. – The result was later released as the “Flykt” EP, says Ludvig. At the time, this wasn’t really meant as much more than a background soundtrack for my images. The turning point came in November 2012, when I saw Swedish dark ambient artist Draugurinn perform live. It was then Ludvig realised that he wanted to compose ambient music heavily permeated by Nordic folk traditions. Coming from a family of musicians, and having prior training in traditional instruments, he went on to do exactly that. – “Flykt” was released for free on YouTube and Spotify in November 2013, and grew more popular than I could ever have imagined. The early material isn’t really representative of FORNDOM though, which became a serious project with the debut album “Dauðra Dura” (2016). That’s why “För världarna nio” is the only EP opus he performs live. The song in question is the first track on “Flykt”, whereas the album begins with “Nio nätters led”. Both titles contain a reference to the number nine, which I first assumed to be an intentional arrangement. – No, he says somewhat surprised, it’s not. I hadn’t even thought about it. The number nine is sacred in Norse mythology, it can be found everywhere. We have the nine worlds, Oden hung from the world-tree for nine days and nights, and equally long was Hermod’s ride into Hel. The sacrificial blot fires burned with nine kinds of wood; there are nine great lindworms, and only nine gods survive Ragnarok. The mysterious valknut symbol consists of three interlocking triangles that together form nine points. – The number repeats itself over and over. It often occurs in connection to rites of passage; the departure from one state of life and entering a new. I caught up with Ludvig in Stockholm on November 26 – the day after his second-ever performance with FORNDOM, courtesy of Tänk på Döden and featuring also Draugurinn and Einar Selvik of WARDRUNA. He started the concert by coating a wooden statue of Oden with blood. – It was a symbolic sacrifice, or blot for those who prefer that word. By bloodying the statue, the same life-force that courses through us also stains the god – an abstract submission solidified with the physical. It celebrates the animal whose blood was used, he says, and gives it purpose in death by helping something grow. – Another aspect of this reciprocity is that I feel like I’ve invested a lot of time and effort into FORNDOM and that particular live performance. Especially given my ongoing studies. Besides an academic pursuit of the subject matter at Stockholm University, Ludvig personally subscribes to the Old Norse outlook. He points out that his beliefs have little to do with modern terms such as ‘Asatru’, ‘Odinism’, and so forth. When he makes reference to the gods, it’s more in the sense of archetypes as guiding beacons than deities expecting adulation. – Oden is a guide for my actions, not in control of them – it’s more primal philosophy than rule-laden doctrine. Something reminiscent of an old grandfather who can teach you valuable lessons about life, despite coming from another age with radically different societal norms. So, it’s safe to say that you don’t pray or anything like that? – We cannot worship the gods in the same manner they did a thousand years ago, trying to emulate their religious practices in our society makes no sense whatsoever. Adherence to a basic creed however, is applicable everywhere. 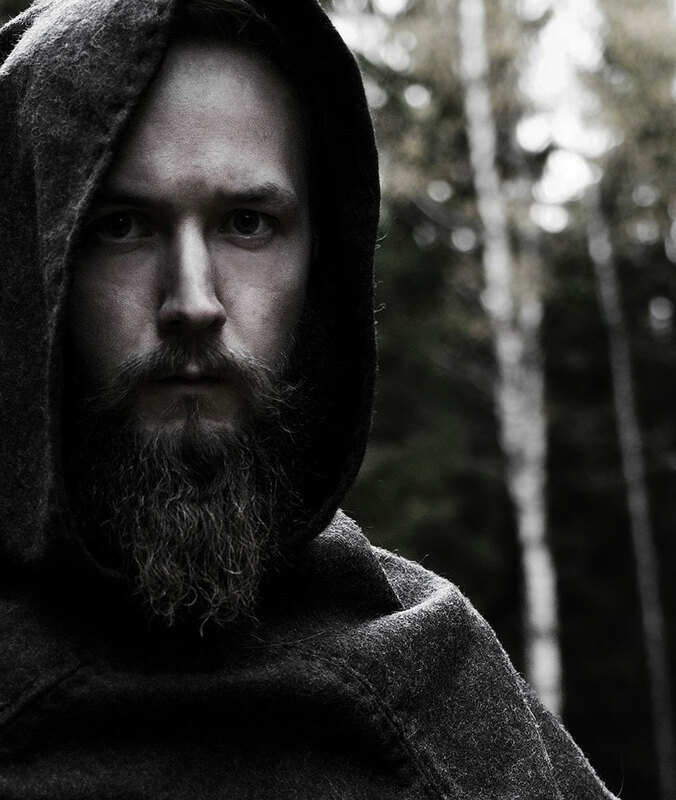 In recent years, Sweden has seen an increase of curiosity for the old ways – several new Asatru organisations have emerged and one of them has even been granted official status as a religious congregation. – While the growing interest for the Old Norse religion is encouraging, I find it rather sad that people need to organise into groups and congregate wearing theatrical outfits. This is what happens when said interest is kindled by a television series. – Our ancestors from the era they seek to emulate never saw themselves as part of anything ecclesiastical, so I fail to see why we should amass in hierarchical structures just to express personal beliefs. According to Ludvig, one will never reach the core of Old Norse spirituality without seeing the whole picture. One must stare deep into the abyss of gods, but also take into account social structures and contemporary ideologies. – Otherwise, it will all remain a Christian interpretation of the religion – based solely on clerical sources tainted with biblical bias. A vanquished religion should not be studied in the archives of its conqueror. The blot ceremonies these groups perform, how authentic are they? – I know far too little about what they get up to when it comes to blot, but I can say for sure that whatever it is – it’s not authentic. Then again, neither was the act I performed on stage last night. We know far too little of these customs to be able to replicate them with any historical accuracy. Ludvig says that what he does on stage with FORNDOM is as a modern interpretation of archaic ideas. This is a methodology that complements the causal northern belief in the evolutionary nature of all things; stagnation is death – change is always a requisite for survival. – The blot can fill a function if we see it in the same light as in the past; that the death of one form of life sanctions the existence of another. We should also remember that our forefathers were even willing to sacrifice their king, to then see people today offering up flowers picked an hour beforehand is absolutely laughable to me. FORNDOM’s logo has been the source of some speculation among the fan-base. Despite being asked repeatedly, Ludvig has kept his silence in hopes of someone figuring it out. There’s been no such luck thus far unfortunately, so he finally relents. – At the top we see the sun-wheel, symbolising life and light, followed by two ravens who represent knowledge and memory. Then we have the ships. In Scandinavian prehistory, the ship was initially a symbol for the trade-routes designated for the sun; faring into warmer climates to bring back sacred bronze. It was later used to illustrate man’s passage through death. In the FORNDOM context, he explains, the nautical crafts embody both. I’m assuming this is connected to the iconic heathen ship burials and funeral pyres on water? – This was actually very rare during the Viking Age and probably has more to do with films and other popular culture than actual history. Ludvig says that in most cases, the funerary ships were probably meant as an afterlife possession. – People would often be buried together with parting gifts from loved ones. It could be a horse or a dog as travel companion, or something as simple as a pair of shoes made especially for the afterlife. In most cases they would have served as a marking of wealth. There’s been a few findings of aristocrats buried with vessels, and the volva of Öland, but that’s about it really. An artistic interpretation of the volva of Öland, made by The Swedish History Museum. Ludvig is referring to a 10th century female leader of a local island community, she received a ship burial with both animal and human sacrifices. The volva are the shamans of the north, and this one was laid to rest dressed in bear pelts and with a large iron wand with sculpted details. She also had bronze plates with runic writing, unfortunately in such poor condition that they can’t be deciphered. – This is not my main subject and I’m certainly no expert, but I know of a few sources outside the myths that speak of the volva. One such example is the Saga of Erik the Red, in which one is called upon after a bad harvest strikes the newly colonised Greenland. Telling the tale of when Scandinavian explorers discovered North America, the saga dates back to the 13th century. This is particularly relevant due to the fact that it was written in a time when there were still volva around. According to the book, they were as feared as they were respected. – She wears a blue robe adorned with stones. Around her neck hangs glass beads and she’s draped in a black lambskin hood lined with white cat-skin, and carries a crowned staff. From her belt hangs a large leather purse with items and herbs for witchcraft. Sweden, soon to boast the world’s first gender equality ministerium, had already implemented progressive measures to secure Iron Age women’s access to the employment market. – Magic was something connected with the feminine, men caught using it would be ostracised for being unmanly and declared an ergi. This doesn’t mean that men didn’t practice seidr, as the Nordic mysticism is called, but it must have been highly unusual. The volva are said to have had access to trance states, in which they would receive oracular visions bespeaking the future. Alas, there is little to nothing preserved about their techniques and practices. – It has been proven archaeologically that they used cannabis along with similar plants and herbs, such as henbane. Hyoscyamus niger; henbane, or Devil’s eyes – is a member of the plant family known as nightshades. Other family members include notorious witch-herbs such as mandrake, Datura and belladonna. – It is however important to point out that this was part of their work – to enhance their inner sight, not to get high and have a good time. So there was no widespread stoner culture in Iron Age Scandinavia? – Not to my knowledge, no. There’s really nothing indicating that ordinary people used any drugs other than alcohol in daily life. Drinking was not something meant for revelry either, it was a sacrament consumed to connect with the gods and one’s community. – Alcohol was shared and poured on the graves of the dead, and probably on idols of the gods. Excessive drinking to the point where one was unable to control oneself was frowned upon. Returning once more to the logo. 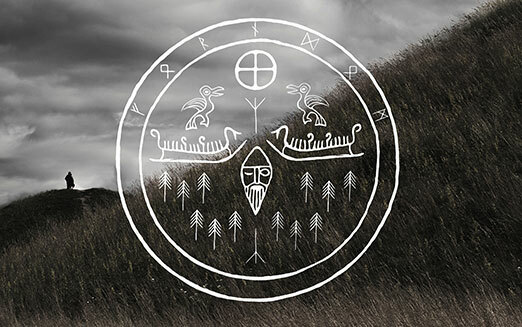 In the centre we see what I first assumed was two Algiz runes, but they are in fact meant to be Yggdrasil; the world tree – crown and roots respectively. This is in turn a metaphor for Sleipnir, Oden’s eight-legged horse that carries the one-eyed god from branch to branch, world to world. It truly boggles the mind why none of the listeners figured this out on their own accord. – The ships mark a threshold between the upper and lower halves; light and dark. Not darkness in a malevolent fashion – rather that which is shrouded in obscurity, out of sight. The trees make up a forest, which has the same significance as the sea; secrets hidden in the depths and what lurks beneath the surface. Oden himself is depicted as glancing down at the forest and Yggdrasil’s roots, towards the realm of the dead. – This signifies a rite of passage; venturing into the unknown and learning from the mysterious by killing the self. An in-between state of universal belonging, where the old has died and the new yet to draw breath. This exercise sounds precisely like what is usually referred to as ego dissolution, a topic that has been discussed on Bardo Methodology before (1, 2, 3, 4). Are you familiar with this concept, or ‘psychic death’ as it’s known in Jungian terms? – Of course. Jung and his theories are fundamental to comparative religious studies, and it does indeed sound like the very same thought behind it. Regardless of medium though, rites of passage should be anchored to the physical world. It must be a metamorphosis the person undergoes in real life, not only in the abstract. Ludvig says he also believes in the Norns – or fates, as the highest power. If one trusts that everything in life happens for a reason, it will make personal setbacks easier to handle. – I believe that even the worst experiences can also bring something good with them. Even mortality isn’t as terrifying if you see it as the closing of one chapter and beginning of a new. The philosophies of death in the Old Norse religion are very close to my heart. He has actually found the auld northern bereavement so spellbinding that he wrote his Bachelor’s essay on archaic Scandinavian afterlife perception. – I came to the conclusion that Hel is not the equivalent of the Christian hell. It’s a place for reuniting with one’s forefathers, similar in many ways to what we know as Valhalla. The most commonly known post-mortal abode, Valhalla was reserved for the aristocrats, the warriors, and their entourage. The ancient North was not an era of equality, it consisted of several beliefs with common denominators – not entirely unlike the Indian caste system. – The gods themselves were highly connected with the social classes. For instance, it would have been inconceivable for someone with no connection to the elite to worship a god like Oden. Commoners turned to Thor, Frö or Fröja – a custom that’s left traces in many Scandinavian townships and birth-names to this day. They are particularly prevalent in Iceland, with the small island nation having no name traditions in relation to Oden at all. – The original Icelandic settlers were refugees fleeing the Norwegian crown. 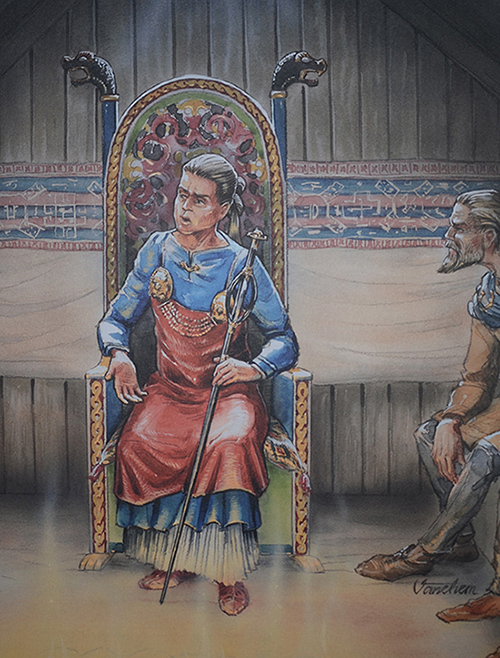 The title of king was inseparable from Oden, as ancient Scandinavian royalty often made claims of being his descendants. Self-proclaimed ‘rune masters’ and rune magic in general isn’t something that moves Ludvig to any greater extent. On the contrary, he says there are no indications that runes had a central importance beyond that of a character set. As such, regarding them as part of the Old Norse religion is an unsubstantiated theory. – It’s an alphabet, and that’s what it should be interpreted as. Ludvig speculates that the lack of books and documents written in runic script have contributed to this misconception. – Wisdom can be gleaned from old Roman texts, just as it can from runes. The only difference is that runes never became a written system for telling long stories, ours was a culture with an oral tradition. The runes are unquestionably based on the Latin alphabet, he adds, which in turn is unlikely to have fallen from the crown of Yggdrasil. Another incriminating fact is how they remained in use in Christian times. – We know for example that heathen burials were outlawed, as were numerous other local customs connected to religion. Had runes been such a focal point, they would surely have been prohibited by the church. The source of this confusion, he believes, is a mixture between various occult interests and 19th century Scandinavian nationalist currents. One such work I assume he’s referring to with the former category is Galdrabók – The Icelandic Book of Magic. – I’ve never read it, says Ludvig, it’s not a part of the Old Norse section. Dating back to the 1600s, it’s a grimoire written by three Icelanders and a Dane. Besides a number of spells in both runic and Latin writing, it contains various sigils, invocations to entities of both Christian and Norse origin, and instructions on how to use herbs and other magical accessories. – Galdrábok appears to combine surviving Icelandic folklore with Abrahamic mysticism, which has somehow morphed into a local esoteric tradition. That’s the conclusion I can draw from what little I know about it. He adds that he’s not aware of any archaeological findings with single runes carved into them, they’re only ever found as part of written text. – What I find amusing is that so many people who claim interest in the Viking era use symbolism based on this work. The ‘rune magic’ it contains has no factual basis in the epoch. Uppsa kulle, grave mound. Photo: Ludvig Swärd. Ludvig believes the runes to have far greater scholarly than metaphysical value, that they can enlighten us about Old Norse society. As an example, he takes the rune known as Odal – ᛟ. – The term ‘Odal’ was used to describe land passed down through generations, by rights of blood. We know archaeologically and historically that it was very important during the Nordic Iron Age to display the right of Odal. Helvegen – the road to Hel, was paved with both the breathing and the buried. Ancestral ground claimed above as below; living descendants farming land strewn with the bones of their forefathers. Grave mounds of one’s predecessors was how one made the claim of Odal. – It was common to bury family members in connection with much older graves. This is believed to have been a marking, a unification with the ancient ones – relatives one never knew but highly respected. One could almost call it an ancestral cult. As Christianity was introduced in the North, heathen burials and customs were outlawed, and rune stones were used instead of the Odal mounds. The monument would state who the stone was raised in memory for, and what his earthly belongings were. – Each rune has individual significances, as well as cultural connections. But to bring out single runes and make unsubstantiated claims of magic, declaring them integral to the religion… It’s a populist idea with no foundation in the factual. Sadly we see this more and more today, it leads us no closer to the wisdom of our past – rather further down into the darkness. The rest of this article will be published in a printed publication, coming early 2017. 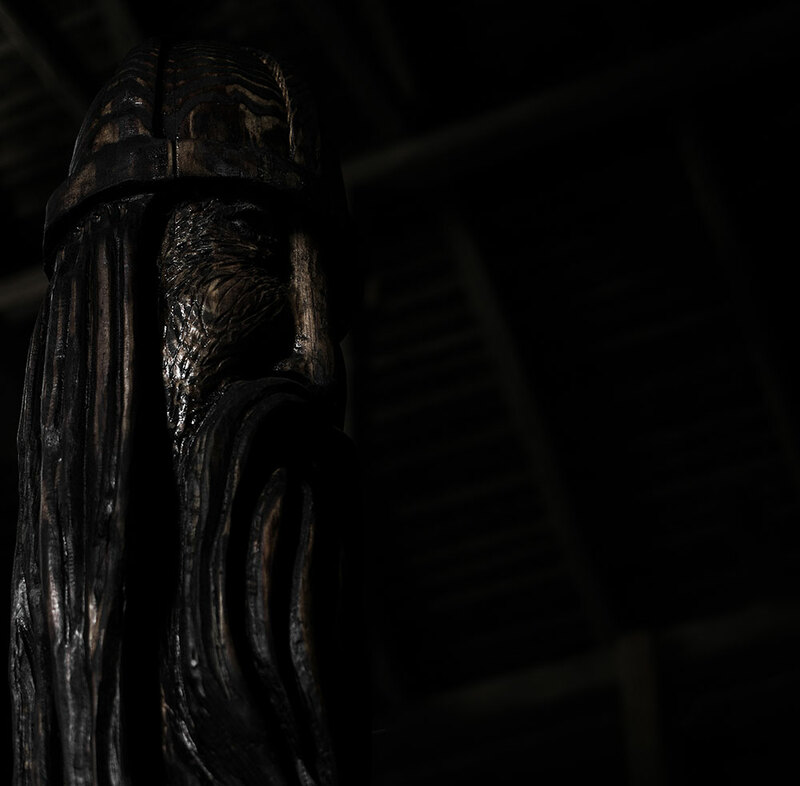 Featured topics include a deeper look into the Old Norse afterlife, famine, plague, and the venerated Scandinavian practice of ritualistic regicide. We also learn of the historical origins of Nordic giants, the Fimbulwinter and Oden’s sojourn in the gallows tree, as well as future plans for FORNDOM. Subscribe to the social media channels or email list to be alerted when the publication is available. Your interviews are great Niklas! Keep on keepin’ on, your work is greatly appreciated!